A rare exodus is hitting a sanctuary state hard – and it’s not California. The largest cities in America have been taken over by Democrats. Chalk it up to high immigrant populations and promises of free handouts, I guess. But now that they’re running them, people have responded, big time. And in Obama’ corrupt hometown, people are packing up and leaving, and they’re headed to America’s new favorite state. …Chicago, New York, and Los Angeles saw an exodus of more than 100 people every day. Chicago fell by 85,000… people are fleeing at a greater rate than just a few years earlier. Soaring home prices and high local taxes are pushing local residents out and scaring off potential movers from other parts of the country. 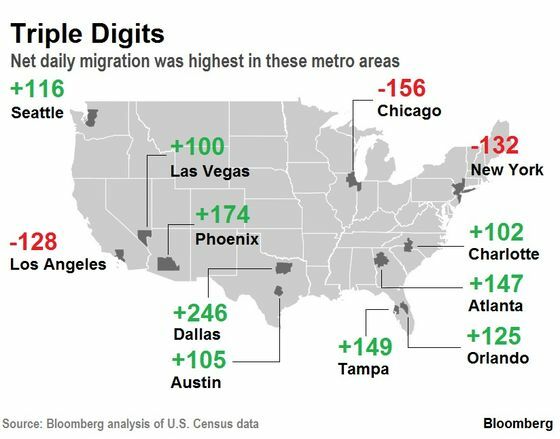 Not a big surprise people are leaving Democrat-run, big cities. The high taxes imposed by Democrats only make living in expensive cities worse. It costs twice as much to live in a big city, in some cases, even more. Chicago has high rent, high expenses, and high taxes. To make up for that, Chicago also has overpopulated schools, few job prospects, and unsafe neighborhoods. Why would anyone want to live there? Add to that the fact that conservative states are open for business, have lower taxes, and less crime. Not a huge surprise that people are voting with their feet.